I know it seems like soup season is quickly leaving us, but I still think there's time for a few more hearty soups! Especially, in this early Spring weather when the nights are still fairly chilly. 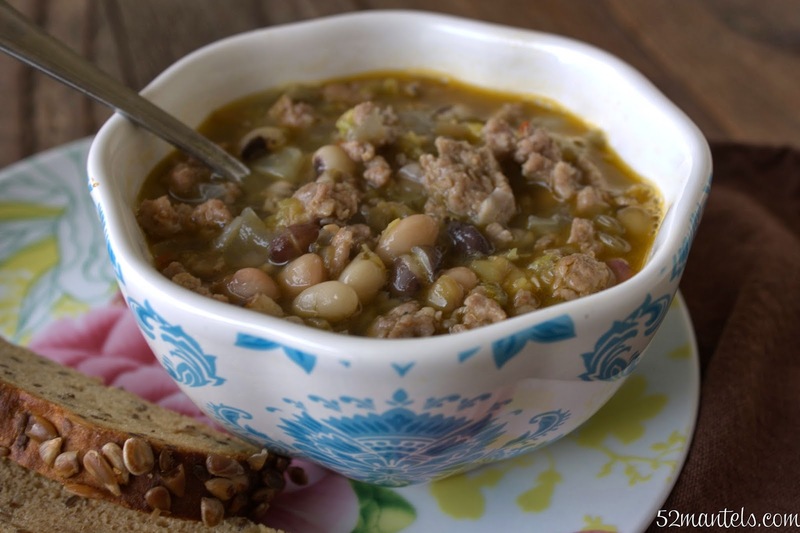 Wherever you hang your spurs, I think you'll like this easy and flavorful crock-pot soup! For me, this recipe started when I eyed some 10-bean dry mix in the bulk aisle of my local grocery store. I picked up about a cup of it and immediately came home to soak them for the next day. My hubby is a bean lover and I'm an easy dinner lover. Win-win. Do you soak your beans overnight? I've heard that soaking beans helps to eliminate some sorta enzymey somethingorothers that can cause tummy distress (I hope you didn't come here for cold, hard, science facts). Because I'm not a fan of tummy distress, I soak beans for good measure. If you like to live on the edge, you can skip this step. Soak your beans overnight (see my above reasoning). Drain and rinse them and then place them in your crockpot, along with everything else. Cook on low for 6-8 hours, until beans are soft and yummy! It's always soup weather as far as I'm concerned! This looks great, pinning to try later! 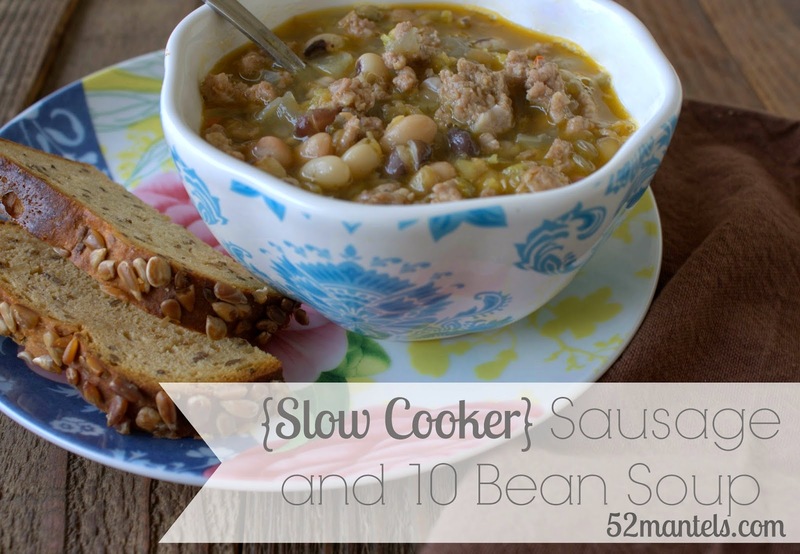 Love slow cooker recipe! Thank you for sharing the recipe!